Experience the creation of the famous handwoven Swahili kikoi. Worn all along the East African coast, this traditional piece of clothing is as popular as ever. Additionally, the kikoi has been discovered as material for comfortable men’s and ladies’ wear and adores the world traveller’s home in form of beautiful drapes, curtains, table wear or bedsheets. A master artisan creates only a limited number of our unique designs on a traditional handloom using the finest Tanzanian cotton which is dyed in small patches ensuring the highest quality colouring. Swahili kikois handwoven at the Moto community workshop in Pete, Zanzibar. Swahili kikois are available at the MOTO Shop in Stone Town, Zanzibar, Hurumzi Street 416. 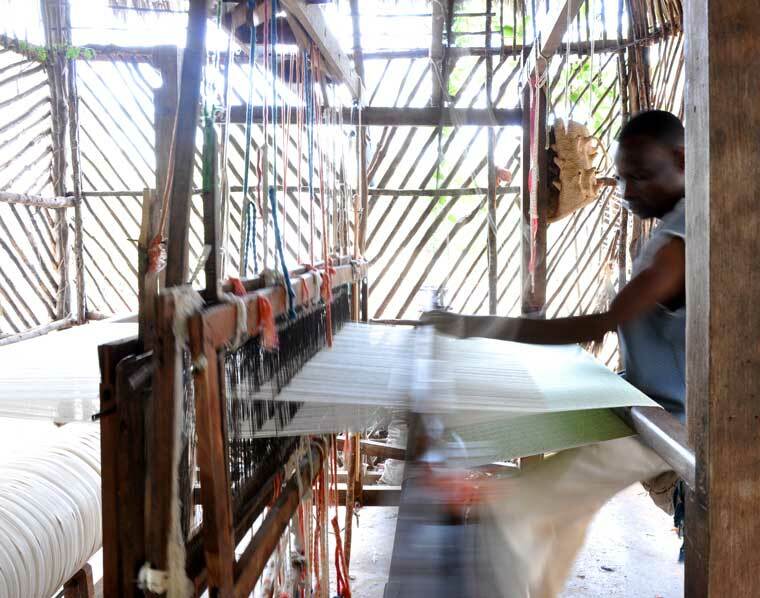 Experience master weavers at work at the MOTO community workshop in Pete, Zanzibar.